Bhutan's key cultural sights together with gentle walks in some of the lesser-known valleys staying in a combination of village homestays and small hotels. Fly overnight to Kathmandu. Transfer from the airport to your well located 4* hotel – the Shangri La. Take the scenic flight to Paro where you are met by your guide. They will take you on a tour of the town with visits to Paro Dzong, the watchtower museum and Dungtse Lhakhang – an unusual temple shaped like a chorten. Drive to Thimphu and transfer to your hotel. 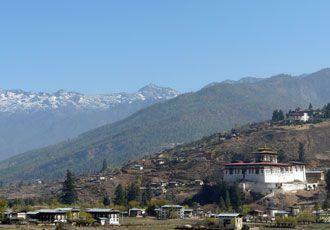 Today you will explore Thimphu, the capital of Bhutan, and enjoy a walk to the beautifully situated Tango monastery. From Thimphu you continue on your travels to the ancient capital of Punakha and spend the night in a homestay where you are sure to receive a very warm welcome from your host family. A walk along the picturesque river valley from Khamsum Yuelley Namgyal Chorten takes you to Punakha dzong. Located at the confluence of two rivers, it is considered one of Bhutan’s most picturesque monastery/fortresses, especially when the jacaranda trees are in flower in the spring. You return to the homestay for a further night. After breakfast you say farewell to your first host family and drive west to the Phobjika valley where you enjoy a walk and picnic lunch. This area is where the rare Black necked cranes overwinter and you can find out more about this celebrated bird at the Black necked crane centre. You can also visit Gangtey Gompa today with its impressive, ornate entrance. You will once again stay in a Bhutanese home tonight and gain an insight into the traditional lives of the Bhutanese people. This morning you enjoy a further walk in the pretty countryside of the Phobjika valley before driving to Trongsa. 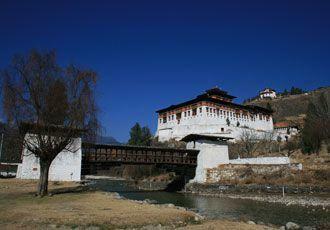 Here you explore the town and visit the dzong and watchtower museum. Today includes visits to several cultural attractions including the monasteries at Nimalung, Prakhar and Tharpaling. You will also tour the weaving centre at Zugney to see one of Bhutan’s premier crafts in action. Continuing to Jakar you spend two further nights in a homestay enjoying the local food and culture. You are now in the cultural heartlands of Bhutan and today you take a gentle walk along the Bumthang valley where there are several temples to see along with traditional villages. You fly back west today to Paro then drive over the Chele La pass to the more remote and fertile Haa valley. 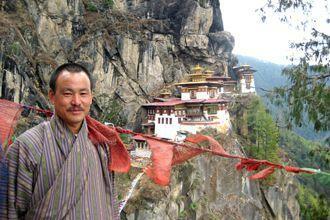 If time allows you will walk to Chele Gompa or the cliff temple of Dzongdrakha en route. Arriving in Haa, you have time for a stroll around the town before settling in at your hotel for the evening. There are several opportunities for walks in the valley today with trails taking you to Juneydrak Hermitage and Katsho Gompa or further still along the valley to Tsenka Gompa. You then return across the Chele La to Paro. Today is the start of your two day trek to Taktsang Monastery via Bumdra. Known as the Bumdra trek, this is the path less travelled to Taktsang. At the end of your first day you will camp at a yak pasture beneath Bumdra monastery situated around 3,800m, before walking on to the iconic Tiger’s Nest monastery via Zangtopelri. Leaving the Thunder Dragon Kingdom behind, you fly back to Kathmandu in Nepal and have a day free for sightseeing, shopping or just relaxing at your hotel. 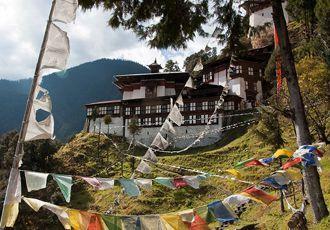 An ideal introduction to the best of Bhutan with easy-paced walks and comfortable accommodation. 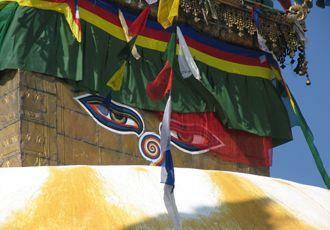 Fly from London to Kathmandu and take a walking tour of the city's key sights. Fly to Paro and spend the afternoon visiting Drugkyel Dzong which is beautifully situated in the Paro Valley. Drive west from Paro over the Cheli La pass to Ha, stopping at Dzong Drakha en route. Enjoy a half day walk in the remote Ha Valley - little visited by tourists. Drive on to Thimphu. 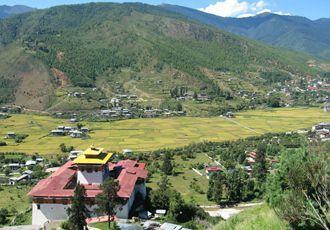 Take a walk through scenic countryside to Cheri Gompa then return to Thimphu. Spend the morning sightseeing in Thimphu including the Memorial Chorten, textile museum and handmade paper emporium. Drive to Punakha and visit Drukpa Kuenly’s Temple. Walk through villages and along the Punakha Valley to reach Punakha Dzong - arguably Bhutan's most photogenic dzong. Drive to Paro. Climb up to Taktsang Monastery and enjoy the wonderful views from the iconic Tiger's Nest. Fly back to Kathmandu and then home. 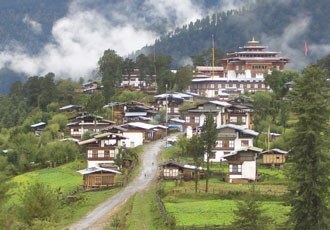 Enjoy easy-paced walks to see Bhutan's cultural sights whilst staying in first class accommodation. 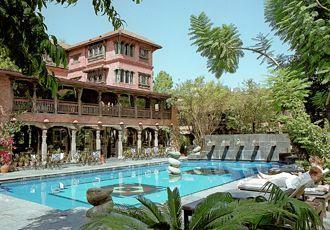 Fly from London to Kathmandu, stay at Dwarika’s superb heritage hotel. 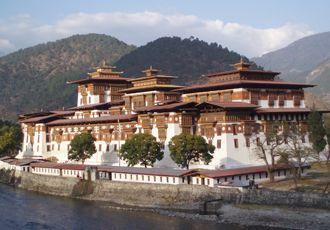 Fly to Paro, drive to Thimphu and enjoy some sightseeing. 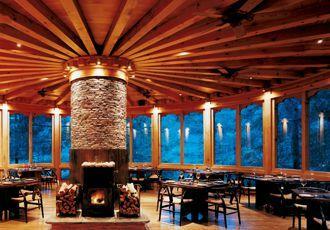 Spend two nights at the Taj Tashi hotel. Walk to pretty Cheri Gompa and return to the luxury of the Taj Tashi. Early autumn visits can be timed to attend the Thimphu festival - one of Bhutan's most impressive. Drive to Punakha. Walk to & visit the Divine Madman’s Temple on the way. Your hotel for the next two nights is Uma Punakha. A suggested full day walk to Khamsum Yuelley Namgyal Chorton and along the river valley to visit Punakha Dzong. A shorter walk can be arranged if you'd prefer time to relax and enjoy the superb facilities at Uma Punakha. Drive over Pele La to Kipche. Walk up from village, over pass and through forest to Gangtey gompa. Drive to the Kychi Hotel in Wangdi. 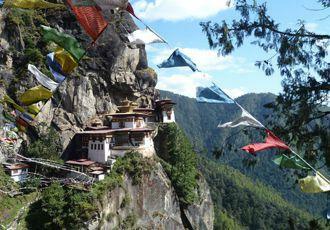 Return to Paro and walk to Taktsang Monastery - Bhutan's most iconic sight. Spend your final nights in Bhutan at the luxurious Uma Paro hotel. Fly to Kathmandu, take a walking tour of Kathmandu’s key sights and spend time at leisure. Celebrate the end of your holiday in style at Dwarika’s renowned Krishnapan restaurant. Fly home. 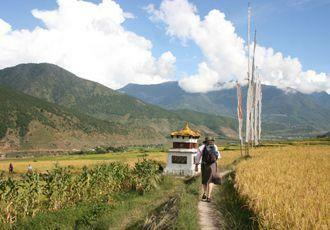 A short trek along the ancient Druk Path, together with the cultural highlights of Paro, Thimphu and Punakha. Fly from London to Kathmandu. 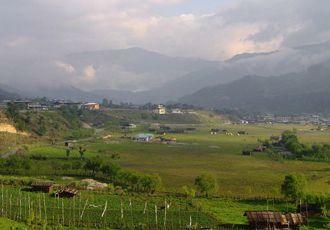 Fly to Paro and spend the afternoon enjoying the sights and scenery of the Paro Valley. Visit Dzong Drakha and enjoy walks to Kila Nunnery and magnificent Taktsang Monastery – Bhutan’s most iconic sight. Trek from Paro to Thimphu along an ancient mountain trail along high ridges, across passes and pass sacred lakes. En route visit a haunted monastery, meet nomadic yak herders and enjoy panoramic views of the snow-capped eastern Himalaya. Each night is spent camping at a scenic location. See the sights of Thimphu in the morning before driving to Punakha in the afternoon and visiting the impressive riverside dzong. Drive to the Gangtey and enjoy walks in the surrounding sacred valleys. If travelling in November, a visit could be timed to attend the Black-necked Crane Festival. Drive back to Thimphu visiting Cheri Gompa and then on to Paro. Fly back to Kathmandu and spend a day at leisure - relaxing, sightseeing or doing some last minute souvenir shopping. Fly home. This itinerary includes exploring the main cultural sights of Bhutan, such as Taktsang Monastery, on foot, combined with a short trek in the Everest region of Nepal. This trip has been designed so that it is possible to stay in comfortable tourist-class hotels and lodges throughout, or in luxury accommodation. Fly to Kathmandu. Sightseeing including Durbar Sqaure and Swayambunath. Fly on to Paro in Bhutan. Drive to Thimphu. Sightseeing and walk to Cheri Gompa. Drive to Punakha. Walk to & visit the Divine Madman’s Temple. Day walk and visit Punakka Dzong. Drive over Pele La to Kipche. Walk up from village, over the pass and through a forest to Gangtey gompa. Drive to Paro. Walk to Taktsang Monastery and other Paro Valley sightseeing. Fly to Kathmandu. Overnight at the luxury heritage hotel, Dwarika's. Fly to Lukla (gateway to the Everest region). Trek to Monjo. Trek to Namche Bazaar, the Sherpa capital. Trek to Trashingna. 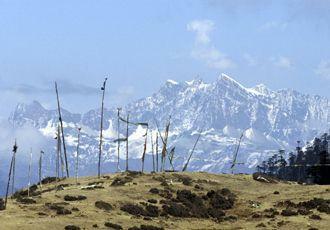 Trek to Thyangboche Monastery or to Mong La and return to Trashingna. Trek back to Lukla via Monjo. Fly to Kathmandu. Sightseeing and souvenir shopping. Transfer to the airport for flight home.